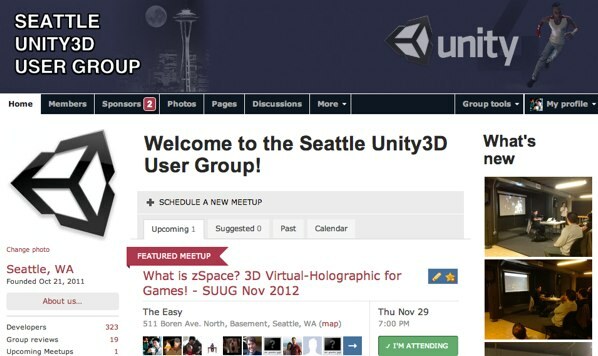 A little more than a year ago, I started the Unity3D User Group in Seattle (link). And I must first admit that the reason I started the group was rather selfish. Let me start the story from the very beginning. After I left Sony and started Studio Pepwuper in early 2010, I soon realized a big problem I hadn't considered before making the leap - that I was no longer in a herd. I was working alone for 99% of the time - just me and the trusted laptop. It never bothered me that I wasn't working with anyone else. I wanted to do everything myself and learn the ins-and-outs of every aspect of making an iPhone game and building a business around making games. I was excited, focused, single-minded. Than I hit a wall. About three months in, I became really grumpy. Work started feel tiresome. I was still psyched about the game and the learning and the future, but it was getting harder and harder for me to go on when I sat down on my desk facing the screen. I felt tired, and I couldn't figure out why as I was still enjoying the work. Until one day Laura said to me "you talk about the birds in the garden an awful lot" - I didn't have a consistent social group, and the birds became my closes colleagues because I often looked into the garden from the desk I worked at. I was lonely at work. I didn't interact with people who were working with the same tools, who spoke the same language, who were going through the same challenges and obstacles. I had been active in online forums and chatroom for game developer (and got to know some really talented developers). But I didn't have any face-to-face interaction with humans. I didn't have a community. And having a community, I later learned (from this documentary), is a key ingredient to Happiness. Humans are social animals. We hunt in groups. We get energy from each other. We seek comradeship. And the long stretch of not having company drained my energy. So when we moved to Seattle, one of the first things I did was looking for a group of people who were in my shoes. 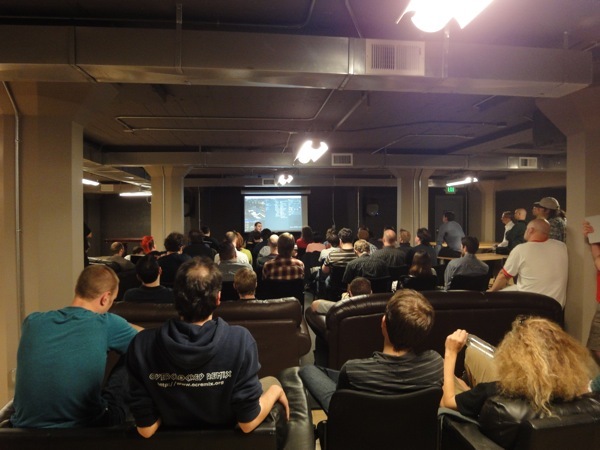 I started the group to find people with similar aspirations and interests, people who I can talk about Unity and game development with, ask questions to, so that I don't have to feel so alone on this journey. It's been a wonderful year with the group, and I appreciate everyone who shows up at the gatherings (especially when the weather isn't cooperating). I always come away happy and inspired after each event. For those of us who work with technology and computers all day, we tend to forget the human side of the equation. But for your own happiness (and the sanity of those around you), don't ignore our innate desire of belonging to a social group and Find Your Herd!